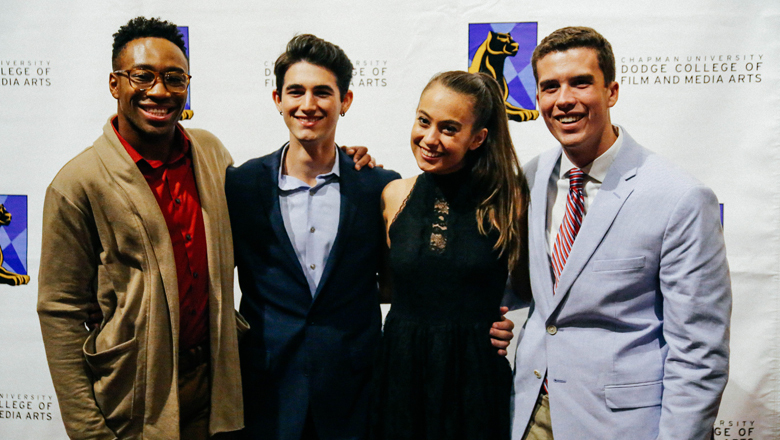 Each fall, Dodge College's annual Leo Freedman Foundation First Cut Screening promotes a selection of top student projects from the previous year as determined by a panel of distinguished alumni and industry representatives. Admission to this event is free with registration. Films screenings are made possible in part through a grant awarded by the Leo Freedman Foundation. Dodge College thanks the foundation for its continued support of our student filmmakers. STUMPED (dir. Christina Farman) – An out of shape corgi turns to aerobics to successfully bring his owner the morning paper. SPRAYING UNDER THE STARS (dir. Claire Cai) – Two graffiti activists are using graffiti to protest for both themselves and others, but the world is more difficult to change than they thought. ESTA ES TU CUBA (dir. Brian Robau) – Set in 1960’s Cuba, Esta es tu Cuba follows a ten-year old boy as he watches his family torn apart by Castro’s revolution. 2018 Student Academy Award winner. THE MOON AND THE NIGHT (dir. Erin Lau) – In rural Hawaii, a teenage girl is forced to confront her father after he steals her beloved pet for an underground dogfight. 2017 Sundance Institute Native Filmmakers Lab fellow. PINK NOISE (dir. Alex Italics) – A fun-filled whirlwind tour of existential dread, wanton depravity, sick obsession and suburban angst, all set to the toe-tapping musical stylings of Grammy Award-winners They Might Be Giants and acclaimed funk/jazz trio Moon Hooch. VOXGIRL (dir. David Bashford) – A former kids’ TV actor who has garnered an unwanted cult following looks to reinvent herself and legitimize her music career.